I have just sent my local MP a slightly-edited version of Clive Francis’ “£400 billion” letter. (h/t Malcolm Shykles). The UK governments’ obsession with AGW had actually been until now a bit of a puzzle really, as it covers the entire spectrum of Westminster’s opinions, apart from a few lonely voices. A bunch of fools they might be alright, but carefully selected to be in the same place at the same time, that’s unlikely. The last scientifically literate President may have been Thomas Jefferson…Britain had such a Prime Minister in Margaret Thatcher. Her early studies in chemistry, in part under the tutelage of Nobel Laureate Dorothy Hodgkins, were key to the U.K.’s strong and successful advocacy that ozone-depleting CFCs be banned worldwide. Never mind if promising to achieve an impossible target by spending an incredible amount of money makes sense or doesn’t. What matters for successive British governments really _is_ to be able to “show leadership”, i.e. be at the head of the bandwagon. Just like Mrs Thatcher was able to do: a great surrogate for a lost empire, if you ask me. In other news: when will Mrs Thatcher or one of her scientifically-illiterate male clones finally stop being the UK Prime Minister? It’s official! The WWF is wrong. Greenpeace is wrong. Avaaz is wrong. Prince Charles is wrong. The UN climate negotiators are wrong. James Hansen is wrong. Many, many people are wrong, including Bill McKibben, Joe Romm, John Holdren. Countless people and especially children are being duped, day in, day out, into believing that the end of the world is nigh. Let’s have a voluntary agreement. Let’s stop the clock. Instead of Kyoto having to be done by 2012, stop it for about five years, put in a voluntary agreement and a verification system. Thus spake on Thursday Lord John (Two Jags) Prescott, having cycled to China (or maybe not). His words were uttered on the august microphones of the BBC’s Today programme, but for some reason failed to materialise in the Today’s “running order” page, or anywhere else at the BBC site apart from the direct link to the interview’s recording. Had it not been for the Telegraph, I would have had to re-type them myself (Carbon News and DeHavilland are hiding their reports behind paywalls). Anyway…what can they mean? Remember, whatever his past Lord Prescott is now talking for Europe, and European politicans have always liked to be at the forefront of quasi-suicidal climate-change-fighting binding pacts. They are hardly a bunch of Koch-sponsored evil Deniers: and still, at this stage of the negotiations they’re happy to settle for a five-year hiatus in imposing anything to anybody. In other words, the most pro-AGW politicians on Earth are pretty much convinced we are not facing the last chance to save the world, it’s not 99 months to the apocalypse, the 350ppm threshold in CO2 concentration can be crossed for several years in a row without any cause for panic. Etc etc. 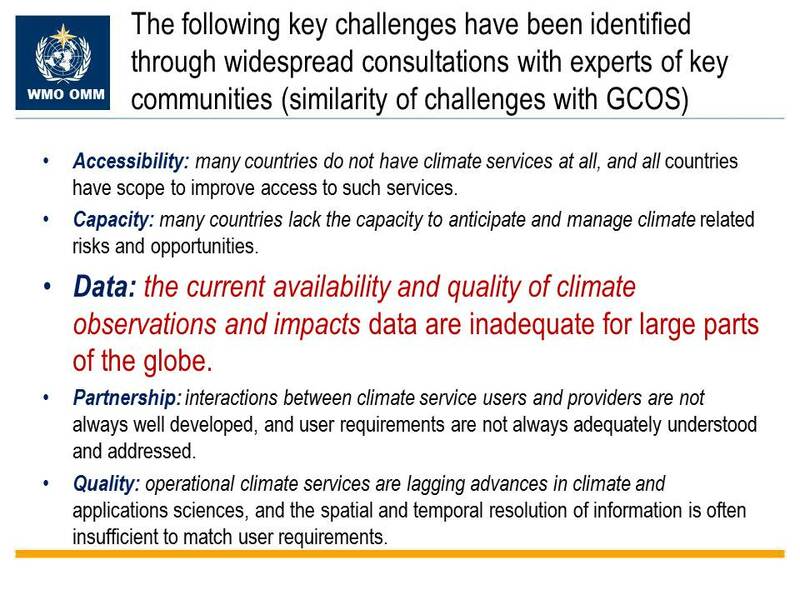 I wonder if all of that will go in the Summary for Policymakers of the IPCC AR5? Couple of year-old clippings from the NYT “Green Inc” blog. All humor as unintended as ever. “The U.N. Climate Convention meeting needs to be a show‐stopper and a chart‐topper in the annals of international cooperation,” said Achim Steiner, head of the United Nation’s Environment Program, according to the Seal the Deal Web site. “As the negotiations kick off in Copenhagen, Dance for Climate Change can help energize action towards ensuring that nations hit the highest of high notes on the climate change challenge.” […] As show time approached, in fact, so few tickets had been sold that the price dropped to $15. And according to some local reports, tickets were actually handed out for free at the gates when the music began to play. Various reports put attendance at about 2,000. Amanda Orlanda, a spokeswoman for the Water for Life concerts, told the Danish music magazine Gaffa that about 10,000 tickets had been sold, though she conceded that somewhat fewer showed up, noting that many of the foreign delegates in town for the negotiations may have had a hard time figuring out how to find Parken Stadium, a communications breakdown on the organizers’ part, she said. “We could have done better,” she said. Benny Peiser of course – curse you, Android! Turnbull: so far boys-will-be-boys defence. ButBritish science reputation important. Times journo challenges Montford on Jones’ selection claim. Good answer. They may be right about the science, so why did UEA engage on disreputable behaviour? My original concern about global warming back in 2003 was quite simple: if we are experiencing climate change, where is the change? Something noticeably different, that is, such as a weather pattern consistently showing up in places where it had never or seldom been seen. Alas, I soon discovered that those questions are considered blasphemous or worse, by many people deeply and wholly convinced about the Truth of Climate Science. And in fact, there are signs that mainstream climate science is curiously uninterested with verifying what the physical world actually does: for example, check the disdain reserved for the IPCC’s own Working Group II Report “Impacts, Adaptation and Vulnerability”, the one that after all contains the most practical chapter of them all, “Assessment of observed changes and responses in natural and managed systems“. In this case, it appears that not enough people with relevant experience saw this text, or if they saw it, did not comment publicly. This might be related to the fact that this text was in the Working Group 2 report on impacts, which does not get the same amount of attention from the physical science community than does the higher profile WG 1 report (which is what people associated with RC generally look at). In WG1, the statements about continued glacier retreat are much more general and the rules on citation of non-peer reviewed literature was much more closely adhered to. However, in general, the science of climate impacts is less clear than the physical basis for climate change, and the literature is thinner, so there is necessarily more ambiguity in WG 2 statements. I am pretty sure most scientists of all sorts (but not climatologists, as it seems) would find it peculiar to see the physical impacts of a scientific theory relegated in the background so that people can celebrate their “relatively mature” science. And no, the belief that understanding some physical mechanisms means understanding what happens in the real world is a naive, dangerous fallacy. WG I would never have made the mistake WG II made over this 2350 / 2035 stuff, for two reasons. Firstly, they are subject to line-by-line scrutiny because people actually *care*. And second they just do a better job with better people. Tellingly, not even the Aristotelian phalanxes at Skeptical Science can come up with much about “empirical evidence“. What is happening here? Perhaps, the physical world is just too complex to deal with, for people used to draw their neat theories (and models). In truth, so far there still is nothing to show for climate change, and yet plenty of educated scientists are so convinced by it, nothing would ever change their mind. Hence the need to elevate “climate science” above those earthly, physical troubles, to a realm where it actually works.